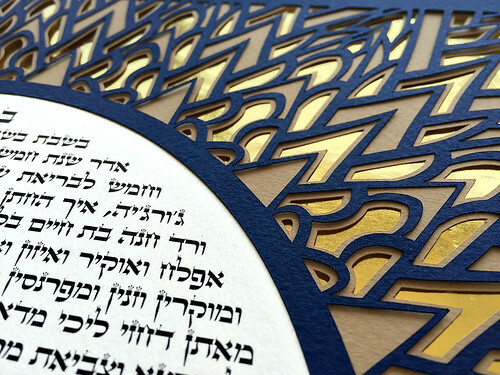 Since I last featured cut paper ketubahs by Oren Loloi of Papercuts By Oren, he has continued to create many striking designs. 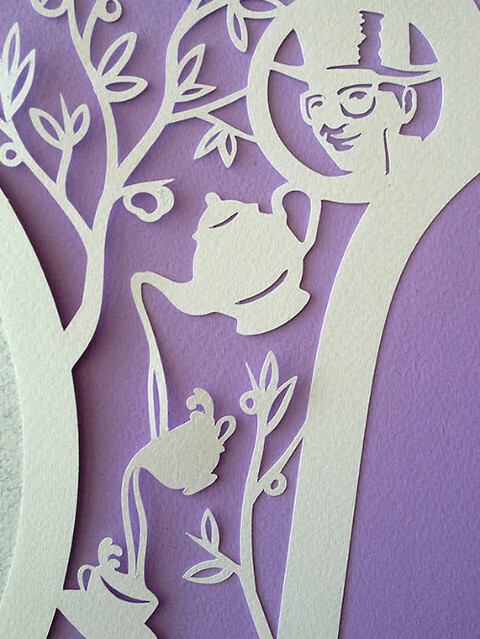 His journey from illustrator to graphic designer to papercut artist is an interesting one. Oren spoke about it in my previous post/interview... worth a read if you have time. 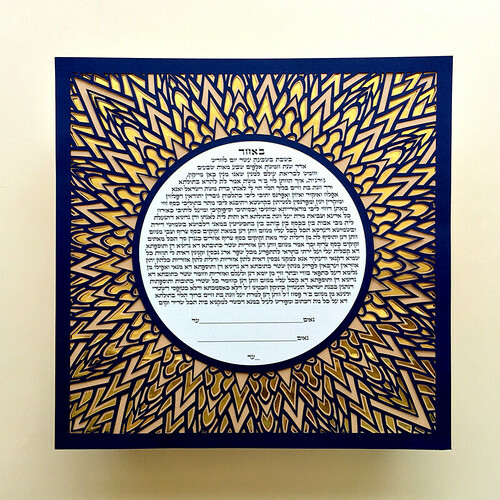 And in case the term is an unfamiliar one, a ketubah is a Jewish marriage contract that is framed and hung in a couple's home. The Helios (Golden Sunburst) is his most popular design... no surprise as a metallic flash is a surefire way to attract attention! 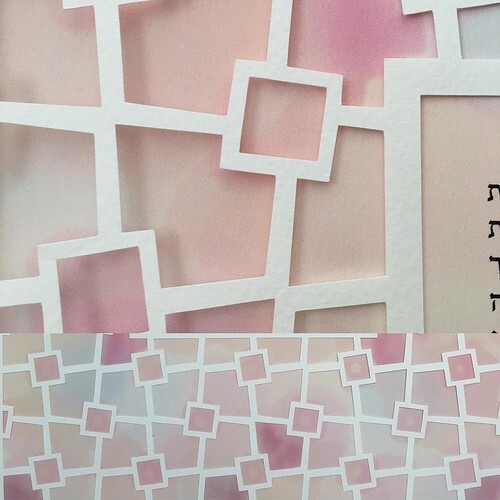 Oren is adept at cutting geometrics, florals, skylines, trees, nature and hamsas, and welcomes the challenge of custom requests. He wrote to tell me his site was recently updated with lots of unique work done in the past few years, "including some really wild bespoke designs, each of which has a beautiful story attached to it. Since 2013 my work has constantly evolved, as has my life. My greatest achievement: bringing two amazing, gorgeous, wonderful, curious little boys into this world." 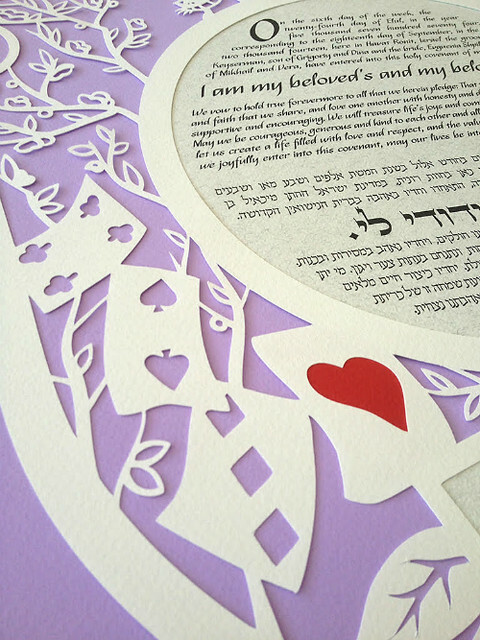 "These designs were based on some very personal requests by the commissioning couples. In one way or another they tell the story of their relationship. 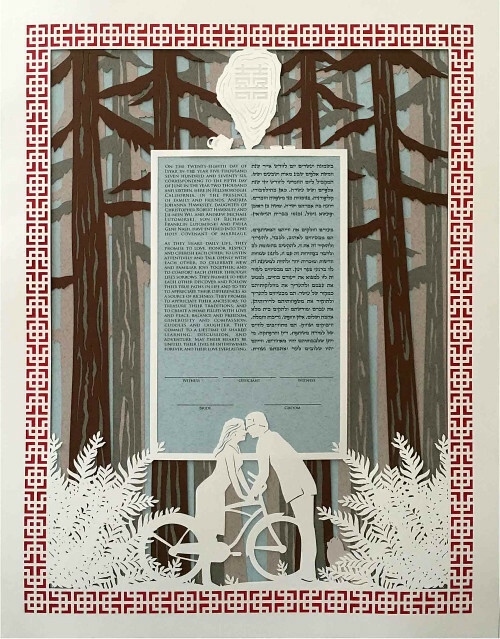 You can see the one with the redwood forest has a portrait of them kissing over a bicycle. This was their first kiss. I asked them to reenact the scene with the actual bicycle, so I had them pose in a photo in order to capture the essence of the moment. The border is a mathematical pattern based on an algorithm that the bride loves (she’s a mathematician)." "In another design, the request was very to the point: swing dance, ice cream, frogs, and bright colors. That design ended up in their New York Times feature (the wedding was every bit as extravagant as the design)." 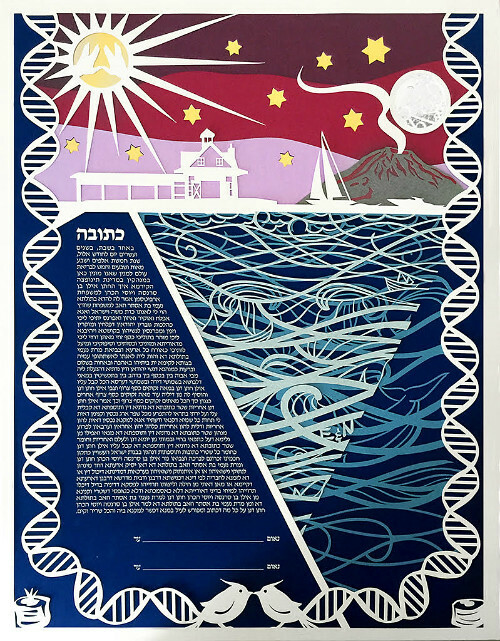 "The ketubah with the volcano was based on several conversations we had over Skype. The symbolism is all carefully considered and I had to find a harmonious way to tie it all together." "And then there’s the Alice in Wonderland design. The couple had a themed wedding. They got married dressed as Alice and the Mad Hatter. I included their portraits as cameos within the design dressed in character." "I feel blessed to have been able to make each of these designs. 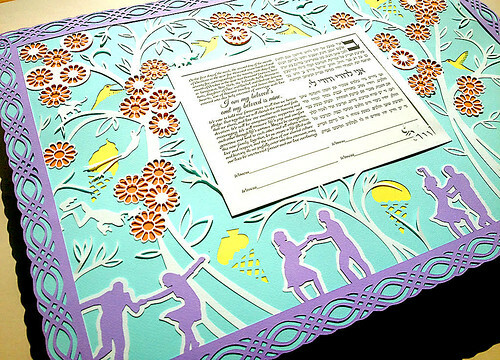 I have to strike a balance between the artwork being meaningful and eye-catching, while allowing the text to remain front and center, since each of these designs is really just an illumination for the marriage contract." "Due to demand, most of my commissions nowadays are for marriage contracts. So I have managed to develop and grow within this narrowest of fields. I feel very lucky that I get to do this because the reward is much different than the traditional art sale. I’m not just selling artwork. I’m directly touching lives. 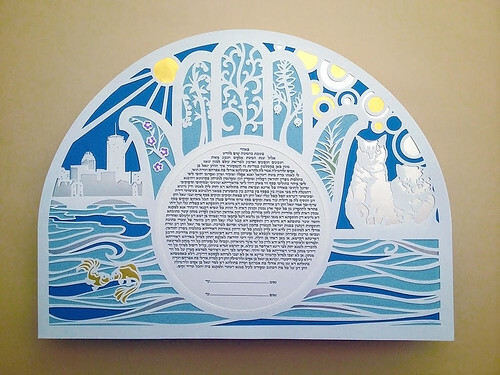 I have had brides tell me they really cried tears of joy when they saw their ketubah for the first time. That kind of reaction is a rare gift for an artist." 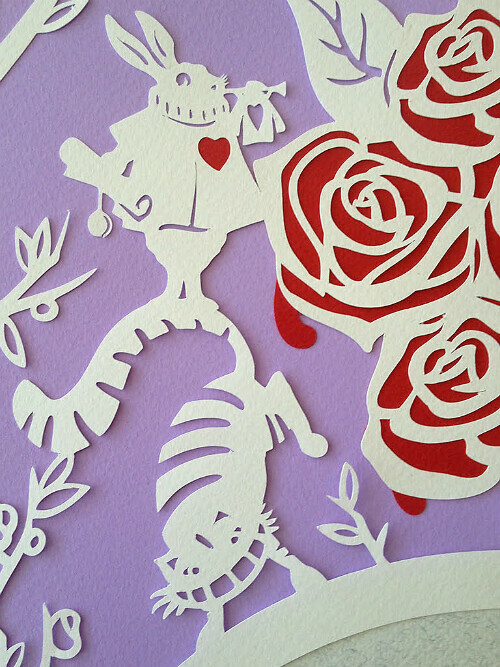 Papercuts By Oren is on Instagram and Facebook. He also has an Etsy shop by the same name. I'm glad you like it, Lisa. I think so too! How stunning!! Thank you for sharing. I agree, Soraya, thanks for your comment!